What is a travel crib? Why do you need one? What should you look for in the best travel crib? What options exist? 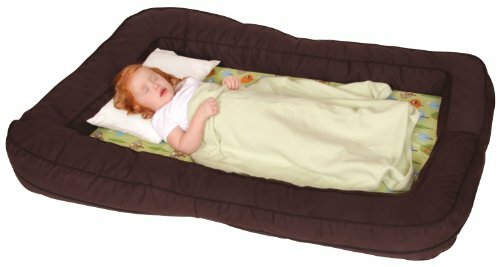 What is a toddler travel bed? How do you chose a traveling crib that’s right for you? If you have these questions (or others! ), you are in the right place. These are some of the questions I will answer in this buying guide for the best travel crib. Travel cribs are a very handy invention. They let you travel quickly, easily and comfortably with your little one. The good and the bad news is that there are many different types of travel cribs out there. This is both good and bad because there are many options to choose between which can be overwhelming. In this quick guide, I will help make it easy for you to find the best travel cribs 2018 so that you find a crib to perfectly suit your family. 1 What is a travel crib? Why do you need one? 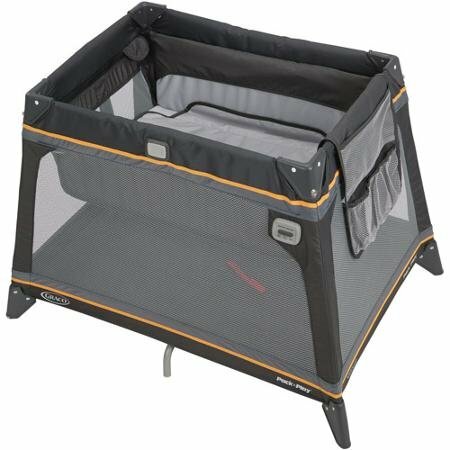 2.1 See the top rated travel crib – click here. 3 What to look for in a travel crib? 5 What is a toddler travel bed? A travel crib is basically a portable crib which has the extra benefits of folding up compactly and is lightweight. It has been designed so it is perfect to take traveling with you. The difference between travel and portable cribs are these qualities. Travel cribs are often small enough that they can even be taken on planes as hand luggage, such as the Lotus Travel Crib. This is why the best travel cribs can actually be a better and more convenient alternative to a regular portable crib. They offer all the same benefits – a safe sleeping environment for babies and toddlers on the go – with the extra benefit of being smaller and lighter. Even in your own home this has benefits as they are easier to store and to move around the house. 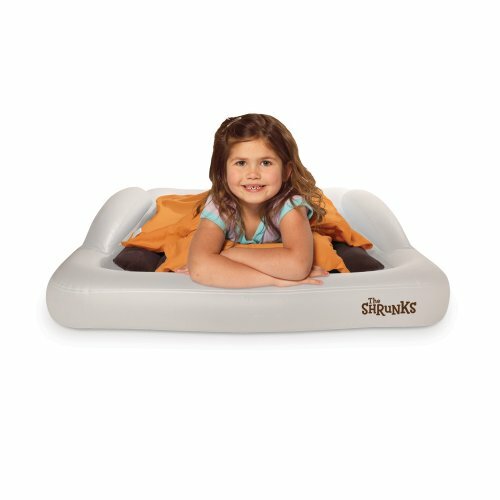 If your child is a bit older – say 2 or older, then you might want to consider a toddler travel bed instead. These are portable beds which are the perfect size for toddlers. If you are not sure whether a travel crib or toddler travel bed is best, I would chose based on whether you want to keep your child contained or not. If you want to keep them in an enclosed space, keep reading this guide. If you are happy with a more bed like arrangement, read my guide to the best toddler beds. If your child is older than a toddler, read my guide to the best kids’ travel bed. Choosing the traveling crib that best suits your needs can be overwhelming. This comparison chart has been designed to make it super easy. All you need to do is look at the columns and information below and pick the crib that best suits your needs. You can easily compare the weights, prices, age range, ratings and look of all the best travel cribs and toddler travel beds. Click on the column headings to quickly sort the columns in whatever order you wish. What to look for in a travel crib? There are many things to look for in a travel crib. Below we will go through the important ones so that you can make a great choice. There are several types of travel cribs, as well as toddler travel beds which are described in more detail below. The first main type is one that folds out to look much like a portable crib, such as the Baby Bjorn Travel Crib. 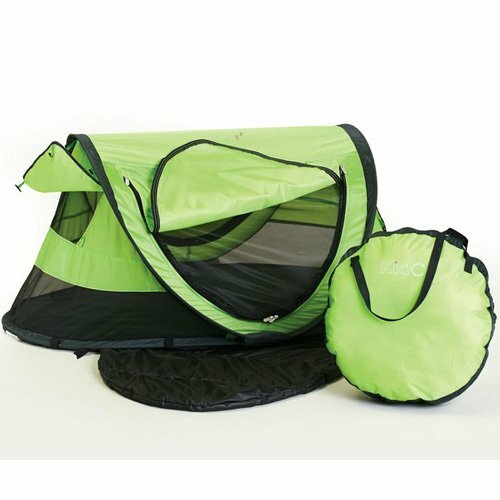 The other type folds out to a mini cocoon like tent for the child, such as the KidCo Peapod. There are pros and cons of both types. The former are often better able to keep infants and toddlers contained, but they usually weigh more and are bigger when folded. The latter usually fold up to be very compact, but children are more able to get out and are not able to stand up inside. Another factor to consider is how easy it is to set up and put away the travel crib. If you are on the go a lot, you won’t want to spend a long time to do these tasks. All of the travel cribs listed here are straight forward with practice but some are tricky to assemble in the beginning. One of the most important factors of a travel crib is its weight and size – both when assembled and dissembled. It’s important that the travel crib is small enough when dissembled to fit into your suitcase/hand luggage/trunk of the car but it’s also just as important that when it’s assembled that it is big enough to fit your child for the time period you want to use it for. Not all travel cribs are created equal when it comes to comfort. Some have very thin mattresses, others do not have good air flow. Some, such as the Baby Bjorn Travel Crib, are very comfortable with great air flow. This is another consideration when picking a travel crib. Some cribs are suitable for newborns, some are not. Some travel cribs are only suitable for babies, others will fit large toddlers and preschoolers. It is important to consider the age range of a travel crib before purchasing. If you are unsure if your toddler should be in a travel crib or a toddler travel bed, check out this article about moving to a toddler bed and read our article about whether to choose a travel crib or a toddler travel bed. Safety is obviously very important. We do not review any travel cribs on travelcribreviews.com that do not meet American standards for travel cribs, so be assured that they are all safe. However, some are safer than others. Things to consider are whether there is any space between the mattress and the crib, how sheets are held into place and whether the infant/toddler could fall out of the crib. Ensure that all usual safe sleeping guidelines are followed in a travel crib, the same as a standard crib. Many of the travel cribs listed here have extra options. Some, such as the Lotus Travel Crib, also double up as play pens. The Phil & Teds Portable Traveller Crib has extras such as a sun shade, so it is suitable for outdoor use, and a sheet set. The Valco Baby Zephyr comes with a mosquito net. If you already have a toddler, you might be considering a toddler travel bed instead of a travel crib. So what is it? Toddler travel beds are basically fold up beds which are toddler sized. 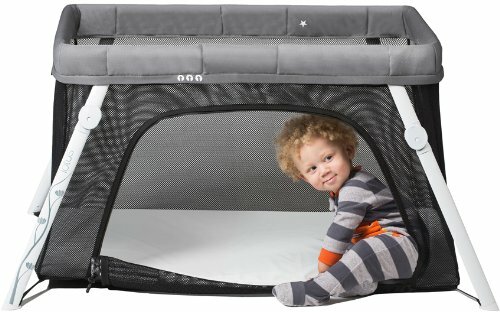 Unlike travel cribs, they do not contain the toddler, and do not have high walls. They come in several varieties and some may require inflating or assembling, whereas others can just be rolled out, like the Leachco BumpZZZ. Read more about toddler travel beds in our full guide. The are three methods for picking the best travel crib for you. Money is often a concern when it comes to picking a product. You can pick purely on price and still end up with a great product. You will have to compromise on some factors, such as the comfort or the age range of the travel crib. The KidCo Peapod Plus is a good choice if you want the cheapest travel crib. If your child is no longer a newborn, and you are not planning any more children, then there is no need to pick a travel crib that is perfect for all ages. If you child is already a toddler and you are not worried about them getting up in the middle of the night, perhaps a toddler travel bed could be the best option. Do you fly a lot? Then portability is an important factor, so pick a travel crib based on the size and weight of the folded travel cot such as the compact and lightweight KidCo Peapod. Perhaps you want a travel crib as a convenient bed that you can set up around the home, so portability is not so important but ease of use and comfort are very important or the fact that you could use the travel crib as a playpen as well. It is important to analyze exactly what you need in a travel crib and make a smart choice based on this. 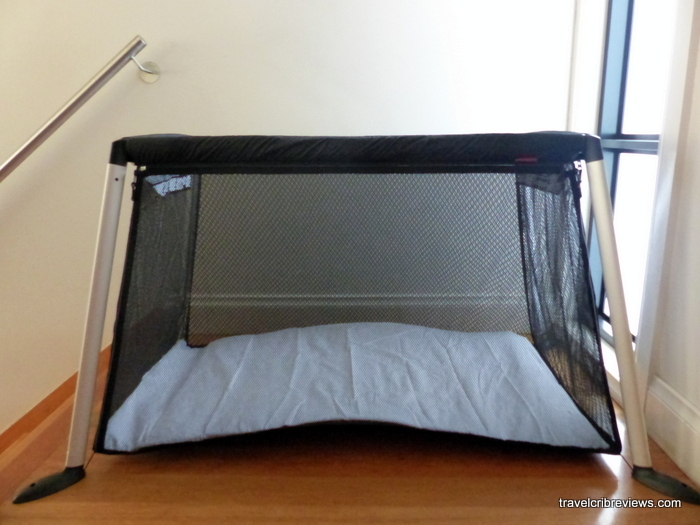 The first product in our list is the Baby Bjorn Travel Crib. It has been very well designed to to create a lightweight and comfortable travel bed. Not only does it work well as a travel bed but there is a large space that is great for your child to play in. This travel crib is one of the most comfortable beds on the market. The crib is perfect for those families that need both a durable and portable bed to take with them anywhere. The crib is easy to both assemble and take apart, and easy to maintain meaning it will likely stand the test of time. Overall this is one of the best children’s travel cribs there is on offer. You can also buy sheets for this travel crib here. One of my favourite crib and playard combinations is the Lotus Travel Crib and Portable Baby Playard. This product is portable and easy enough to take with you and set up anywhere. This crib has many features that appeal to me. 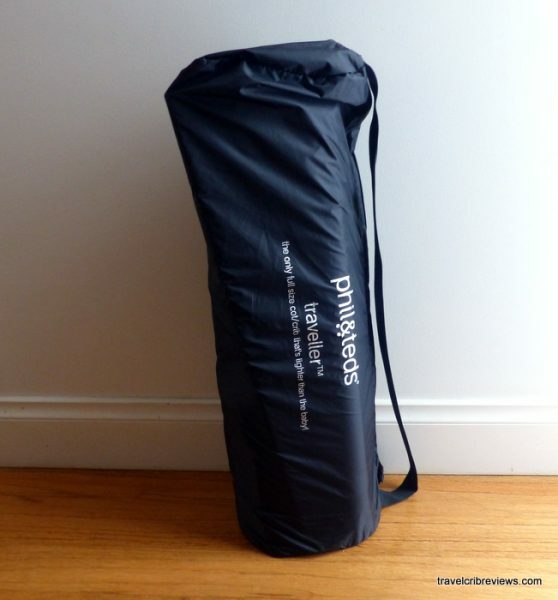 Firstly, it’s easy to transport and can be folded up and taken anywhere. The crib is lightweight and easy to carry. The Lotus Travel Crib can also be used as a playard, with the mesh screens giving you visibility to watch over your child whilst they play. If you are a family who are looking for a travel crib suitable from birth until a crib is no longer necessary this is the one for you. 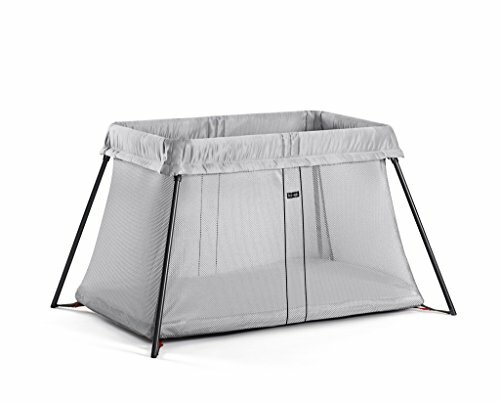 The crib is compact and easy to use and comes with fitted sheets, a mattress and a backpack. 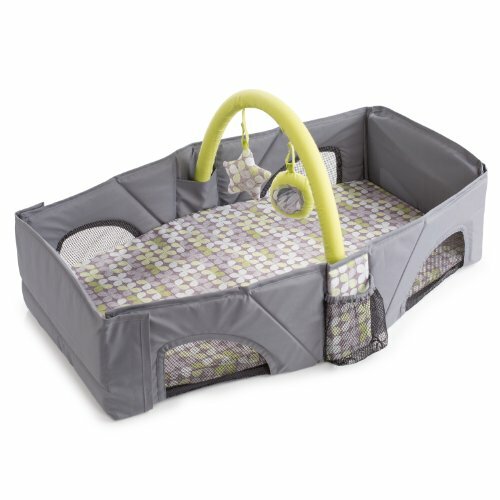 Overall this is a great as both a travel crib and playard. For young babies, aged between 0-12 years, this is an ideal product for short naps and diaper changes whilst you’re on the move. Low cost and high in function, the bed has a nylon, padded mattress, which has a removable sheet, also machine washable. The high sides prevent rolling, so you have safety in mind, and the front panel unzips and easily folds for access during diaper changes too. This is obviously a very lightweight and foldable choice, and the lower price is reflected in that. The side panels are made of mesh material, for allow air to circulate and keep your baby cool whilst they nap, and overall this is a very good quality product for a low price. There is also a toy bar which goes over the top of the bed, with two soft toys hanging down, for entertainment and fun during changes or simply rest times. A favourite playard of mine has been The Graco Pack N’ Play Playard Jetsetter. This playard for travel provides the perfect support for travelling babies at play. This top of the range playard is a lightweight, compact but spacious playard, and even folds up compactly into a backpack, making it one of the easiest playards in regards to transportation. The Graco Pack N’ Play includes many great features, such as built-in canopy, mesh sides for both ventilation and visibility, a changing pad, and even a bassinet with built in vibration. The playard features plenty of space, with a wide space giving you child plenty of room to grow. The playard meets all standards of safety and is a great option to keep your baby occupied while travelling. The plus point of a travel crib is that it can double up as a playing area for your child whilst you’re moving around, and this particular big-named model does just that. The major advantage here is that the crib is adjustable, so it grows with your child, meaning you don’t have to keep buying new equipment every time there is a growth spurt! The crib easily converts into a roomy play yard, and the lightweight nature of the product means it is easy to move around, with small wheels for ease of movement whilst you’re on the go. Weighing just under 20lb, there is no problem with transportation here if you are keeping to car travel, but comfort should always be your number 1 priority and this particular product has a quilted, thick mattress for your child’s comfort, as well as a canopy which acts as a light shade, and a place to hang soft toys from too. This particular travel crib is very multi-functional, in that it offers a comfortable and spacious place to sleep, but is also primarily best as a play yard, which means you can go about your daily business, safe in the knowledge that your little one is safely contained and playing happily! There is an inclined sleeper section which has a padded mattress, machine washable, and a head support. The outside of the product also has a built in travel changing bag, where you can easily store wipes and diapers, and there is an included vinyl changing mat. The play yard fits standard crib sheets and overall is easy to assemble and fold back down. This is also a lightweight choice, at just 15lb. Basically, this is ideal for short naps, a full night’s sleep, and for playing, which covers all your on the go needs whilst travelling around, or perhaps as an easy to move crib for in the house. Still not sure what travel crib is best for you? Check out our Reviews.